Big city, massive planes, and oodles and oodles of Noodles. Nestled along the Burlington Waterfront, we’ll be serving our signature Spicy and Miso Ramen as well as our new summer Shoyu Ramen during the Vermont National Guard Air Show this Friday- Sunday (Aug. 12th-14th). Crazy planes doing equally crazy maneuvers at speeds we can’t even imagine AND ramen? Nothing better. Edward (ramen) Sharp and the Magnetic Zeros! There are concerts that rock, some that are better to roll at, and the rare ones full of raw instrumental and vocal power that blow you away. Edward sharp and the Magnetic Zeros will be the latter. As a bonus, We’ll be there dancing and slinging noodles with you at the Shelburne Museum 5:30 pm-10:ish pm. Buy your tickets HERE and come enjoy a great meal accompanied by great music (or is it vic versa?). With July coming at us like a white on rice, we want to invite you to help us send off June in Style and welcome Independence Day with open arms! This Thursday June 30th we will be posted up for a FREE concert with Aaron Flynn at the Shelburne Winery from 6:pm-8:30. And are extremely stoked to Announce we will be at the Montpelier Indepence Day celebration from 2:pm on Sunday July 3rd along side great FREE music, special games, other tasty vendors and some awesome fireworks. This will be our first time in the capital, and we’ll be packing the braised pork belly heat! One Down HEAPS to GO!! Shelburne Museum for Lake Street Dive! Get your engines ready: starting this Friday Miso Hungry will be firing on all cylinders at the Shelburne Museum featuring Lake Street Dive. For this event we will be serving up steamy bowls of Authentic Ramen before, during, and after the show. This concert will be our launch pad into our summer season. We are beyond stoked for three reasons 1. Lake Street Dive is incredible 2. Our awning-front-face lift is almost complete and 3. We miss our fearless Ramenteurs! Tell a friend, tell a foe, tell every walking-smiling-crying Chittenden County person you know! 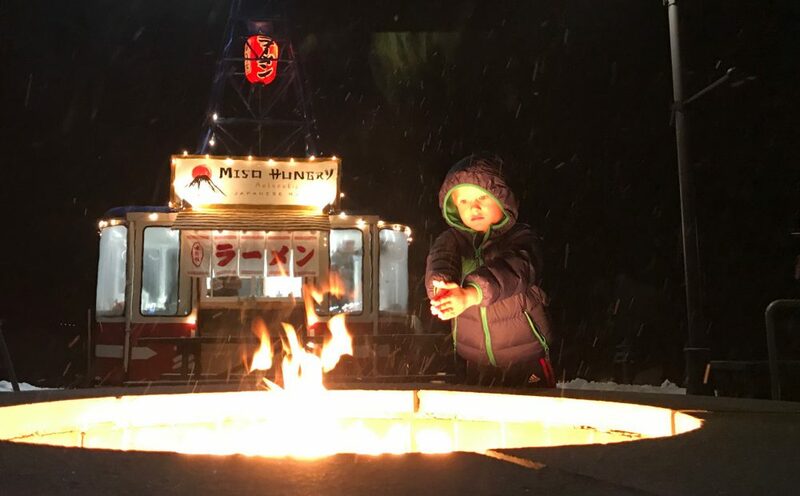 Miso Hungry will be serving up steamy bowls of Ramen this Thursday, Friday, and Saturday at the Switchback Brewery Taproom. On Saturday we will also be cheffing up Bratwurst and making a special German Style Ramen dish, for the Reinheitsgebot 500th anniversary. We’ll also be grilling Brats with Sauerkraut to pair nicely with $4 pints of Smoked Marzen beer all day!